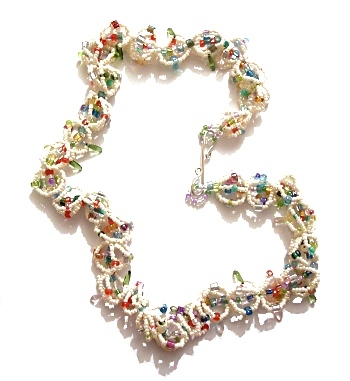 This necklace is a more freeform variation of the original piece in my Caged Beads series. I wanted to play around with mixing up the beads used and the amount of them used in each place. My next piece in the series played around with the number of 'cages' used.